When three of the GW Bridge’s lanes in New York, New Jersey were closed down last September, traffic was almost at a complete standstill. That’s exactly what happens to your brain’s memory lanes when you don’t keep your brain’s nerve cell lanes open and healthy. But fear not, there’s a secret you can discover to help you keep your brain alive..
Each of your senses – vision, hearing, smell, taste and touch have their own sections in your brain. When you use a sense you’re sending electrical activity along all the pathways or lanes to that sense’s home and that is what exercises those lanes…helping to keep them fit and flexible and usable. By relying only on sight and sound in your daily life you have three whole sections of your neuronal lanes leading to your memory bookcases in your brain that have their toll booths closed. This prevents you from sending information into or out of your brain easily or efficiently. So if you don’t consciously use all your senses, you create a mental traffic jam, so to speak, and think Oh My Gosh! I’m losing it! 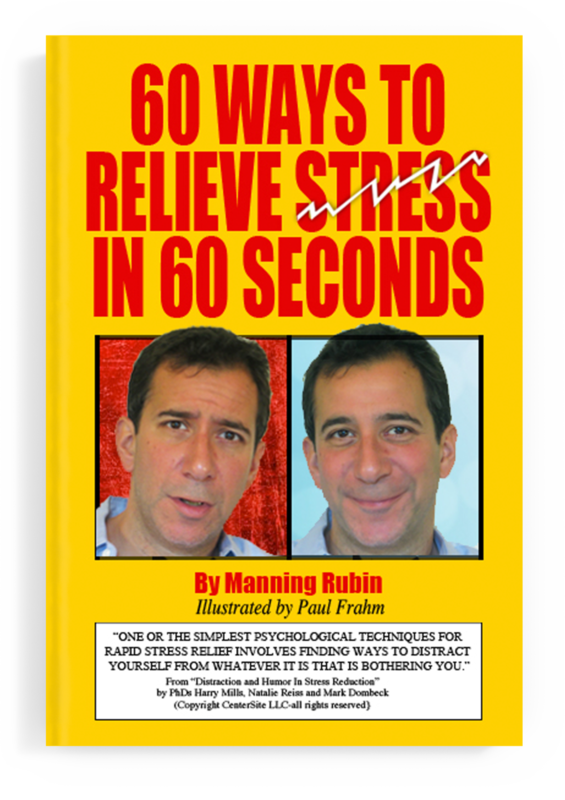 Well, happily, there is a simple, natural way to help keep those mental toll booths open so your neuronal lanes stay fit, flexible and ready for traffic.. It’s called NEUROBICS as developed in KEEP YOUR BRAIN ALIVE, the worldwide best selling book by neuroscientist Lawrence C. Katz, PhD and Manning Rubin, a former Advertising Creative Director. 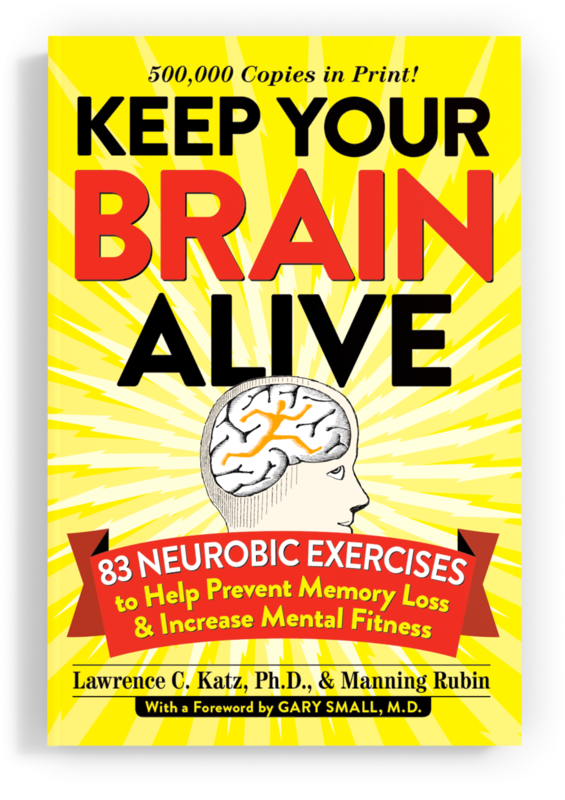 understand, explanation of how the brain works plus almost 100 easy, fun NEUROBIC exercises to do as part of your daily life. For example, brushing your teeth with your non-dominant hand exercises your nerve cell lanes, or closing your eyes and feeling for what you want in your refrigerator does that, too. Or how about closing your eyes and identifying what’s on your dinner plate or in a fruit cocktail only by smell, touch and taste. Or by taking a different route to wherever you go regularly like work, the doctor or dentist, the library or your friends and families homes. Get it? It’s simple but it works both to keep your brain’s pathways active and to actually help create brain food molecules in your brain called neurotrophins. Use all your senses on a regular basis. Break your routines ever so often. Routines are comfortable but they use the same old neuronal lanes over and over. Explore and experience new things to do like taking a new route or learning a musical instrument or to type or to paint or doing volunteer work for something you’ve never done. And don’t fail to add some aerobics for your body because physical exercise as simple as a fast walk three or four times a week helps your blood flow better through your body and your brain. Think of it as your B & B – your brain and your body. If you use ‘em you won’t lose ‘em.